Composed by Paul Barker. 21st Century, Contemporary Classical, Modern, Repertoire, Patriotic. Score, Set of Parts. 18 pages. Published by Paul Barker (S0.427379). 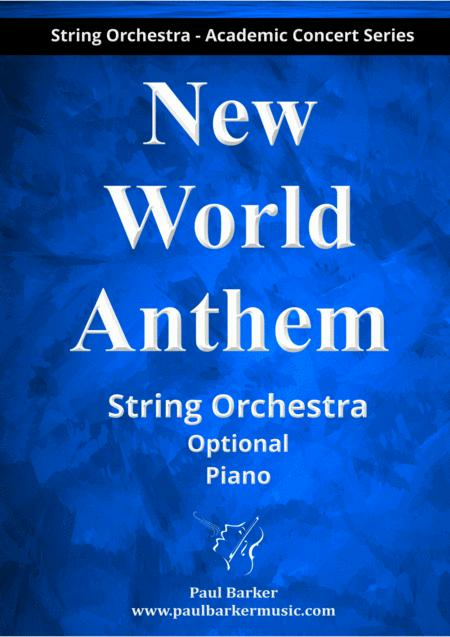 ﻿The ‘New WorldAnthem’ is a stoic musical journey towards freedom and liberty. PowerfulMelodic themes and harmonic grandeur give this spirited work a special place inany musical performance. Suitable for Concerts, Festivals and OrchestralClinics. May also be performed as a String Chamber Group.